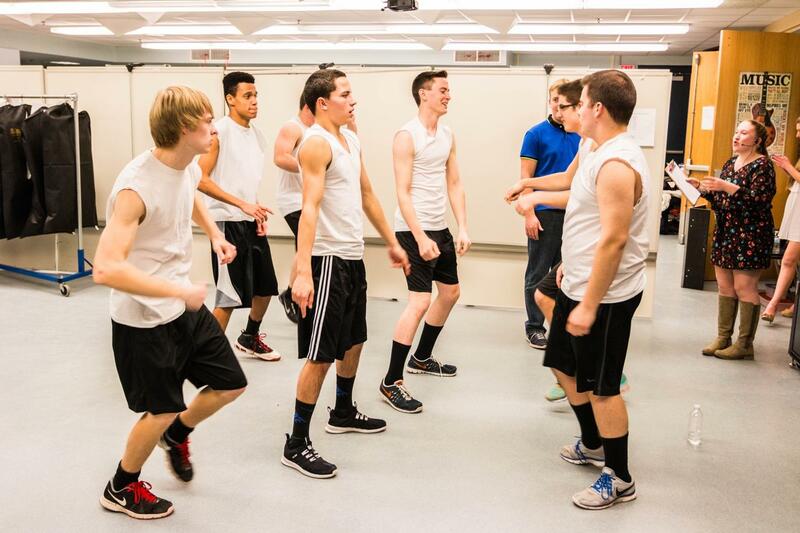 The contestants go through the dance routine one last time backstage. 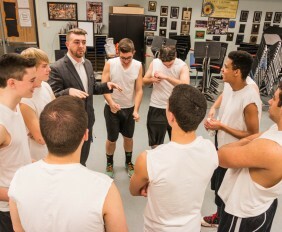 Mr. Donecker gives the final pep talk moments before the show. 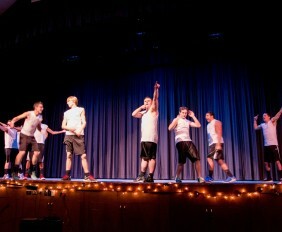 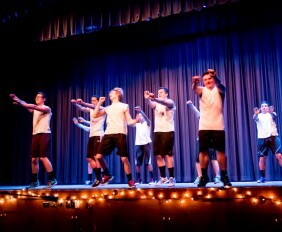 The show opened with the contestants' dance routine. 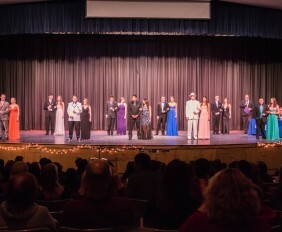 The opening dance was performed by all contestants. 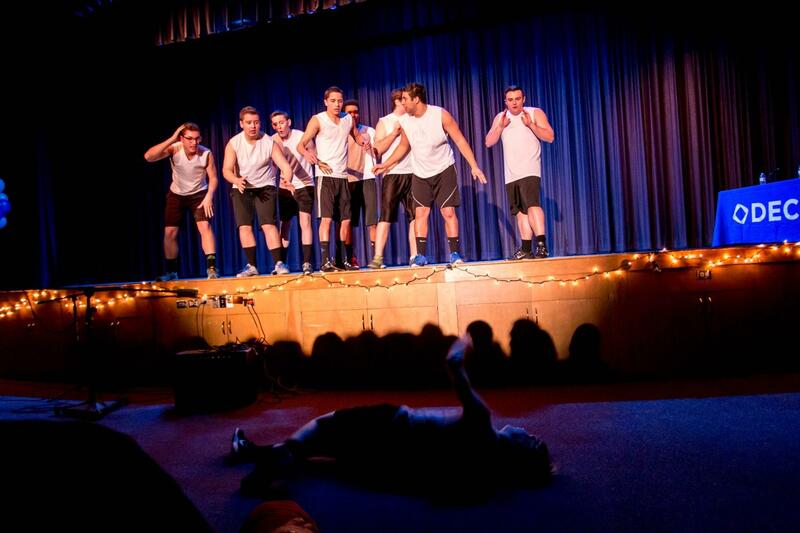 Andrew VanSteenbergen falls off the stage as part of the act in the opening performance. 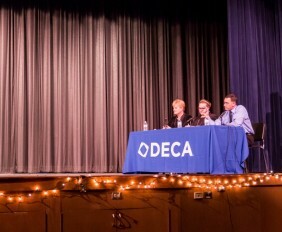 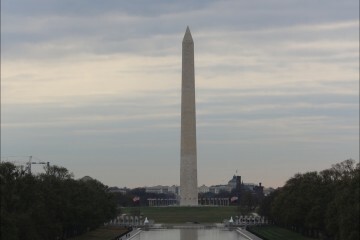 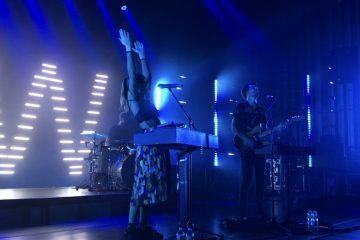 The opening of the show concludes. 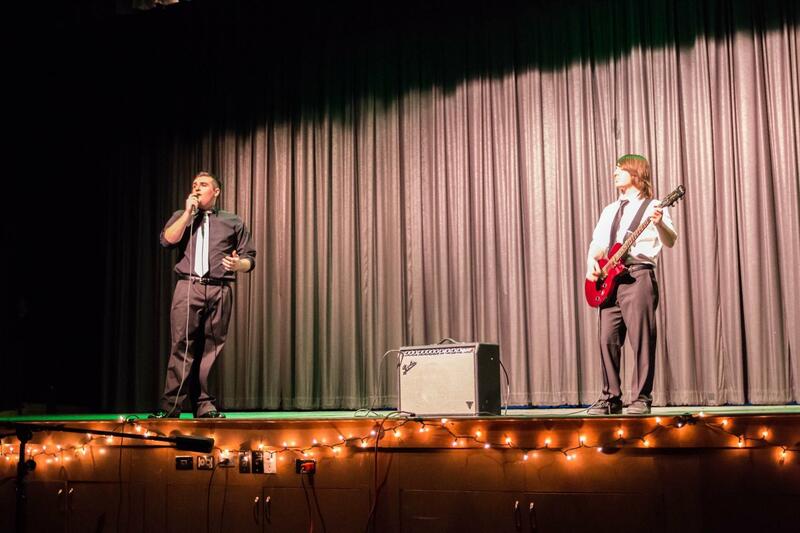 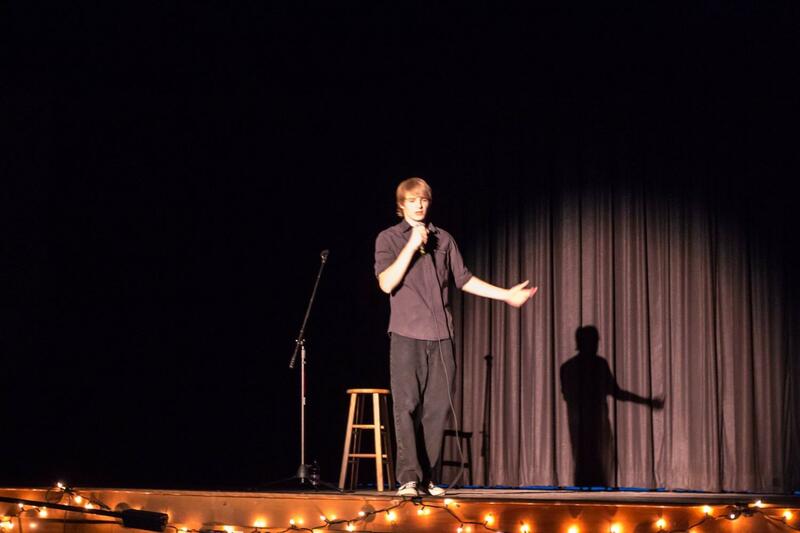 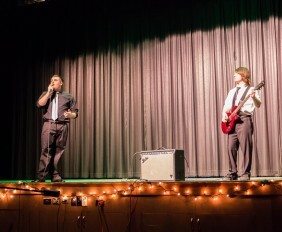 Michael O'Sullivan performs "Thinking Out Loud" by Ed Sheeran alongside Brien Radziunas. 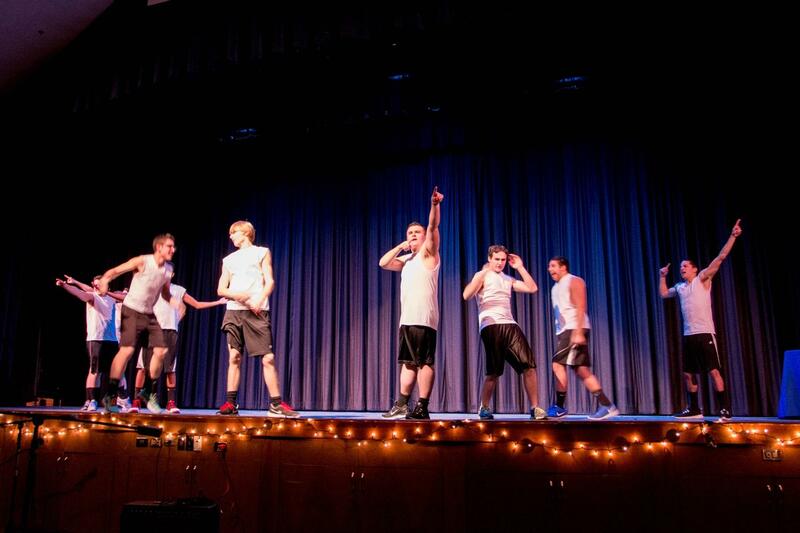 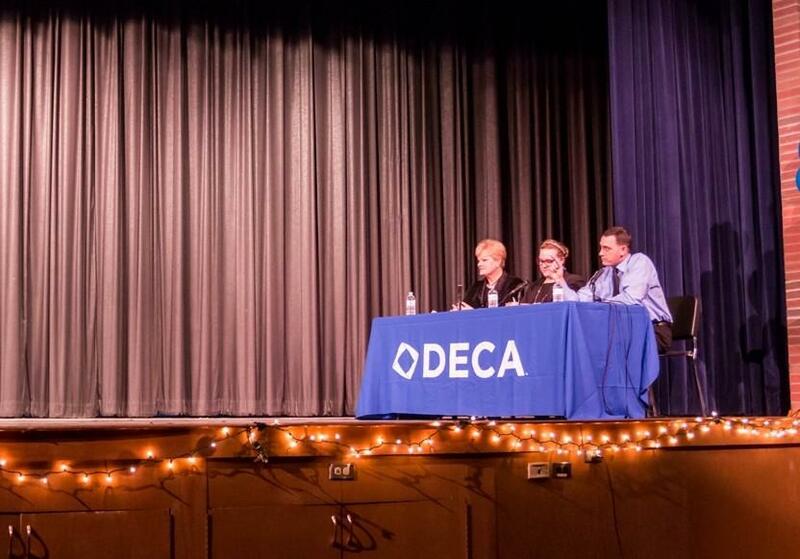 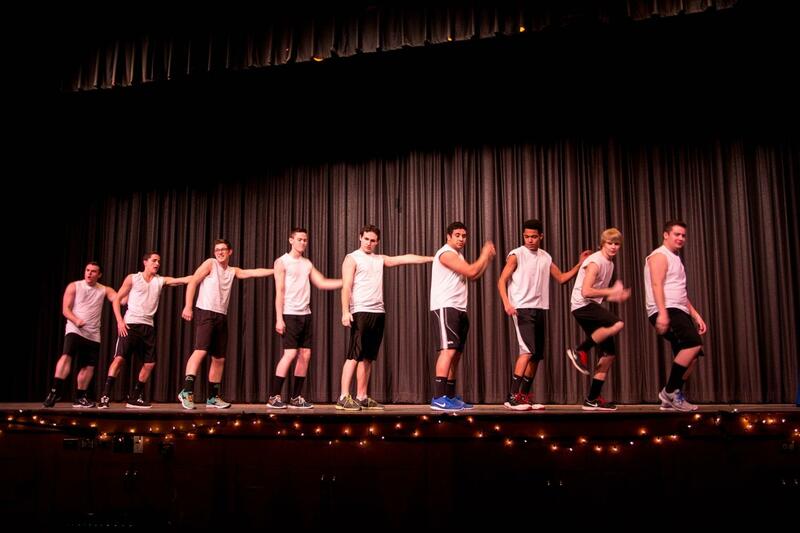 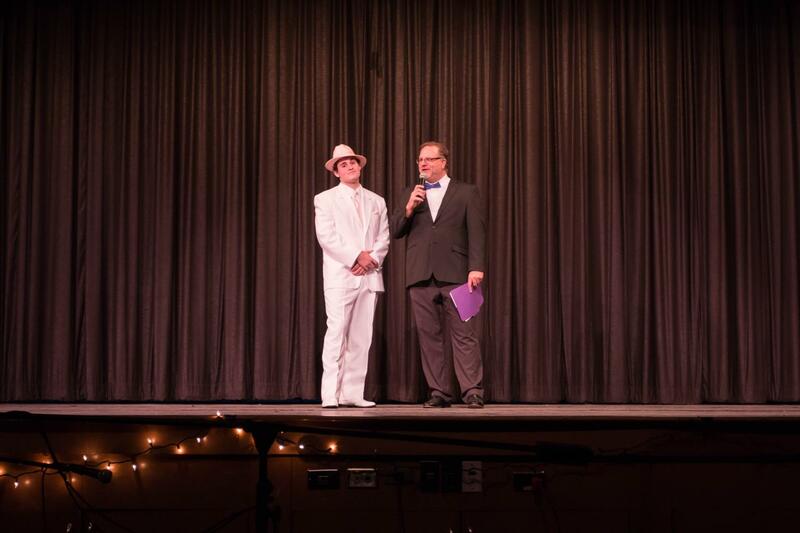 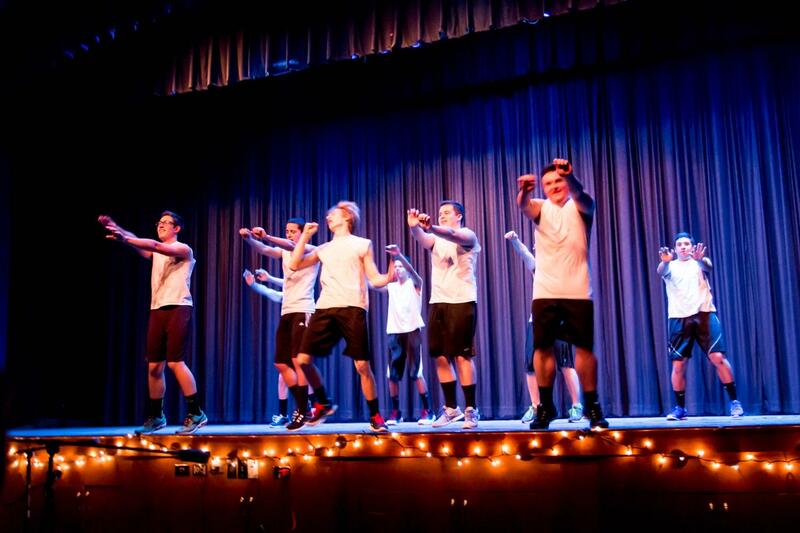 The 2015 Mr. Coginchaug judges were Mrs. Matasavage, Ms. 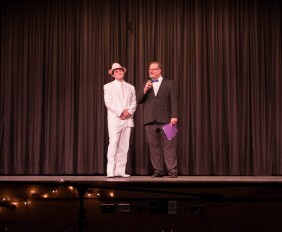 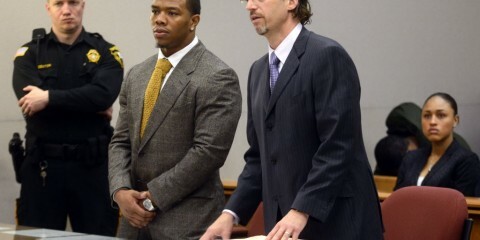 Bowman and Mr. Falcone. 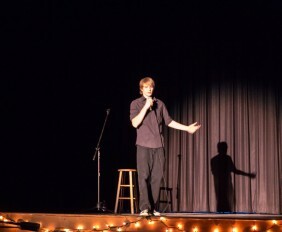 Andrew Van Steenbergen opens his stand up act. 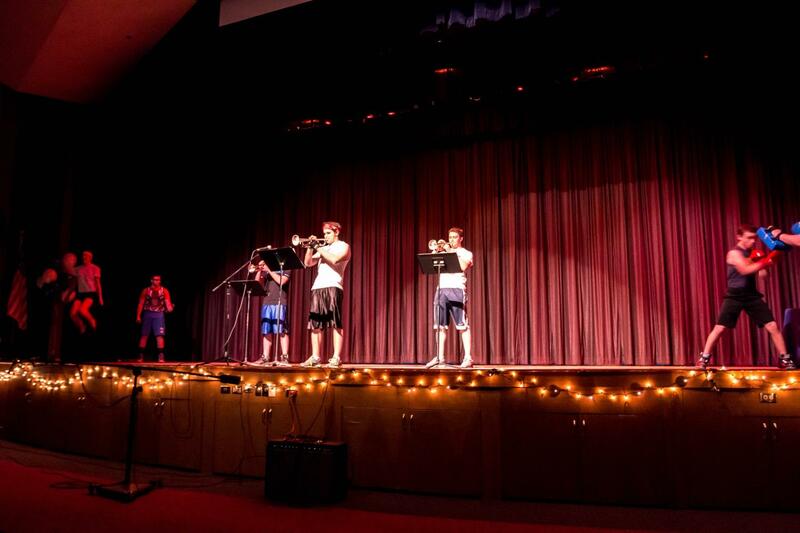 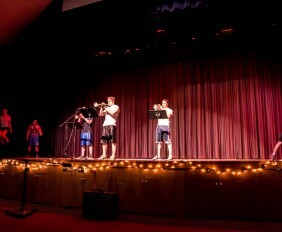 Artie Koba plays the theme from "Rocky" on the trumpet alongside Nathaniel Weir and Josh Collins. 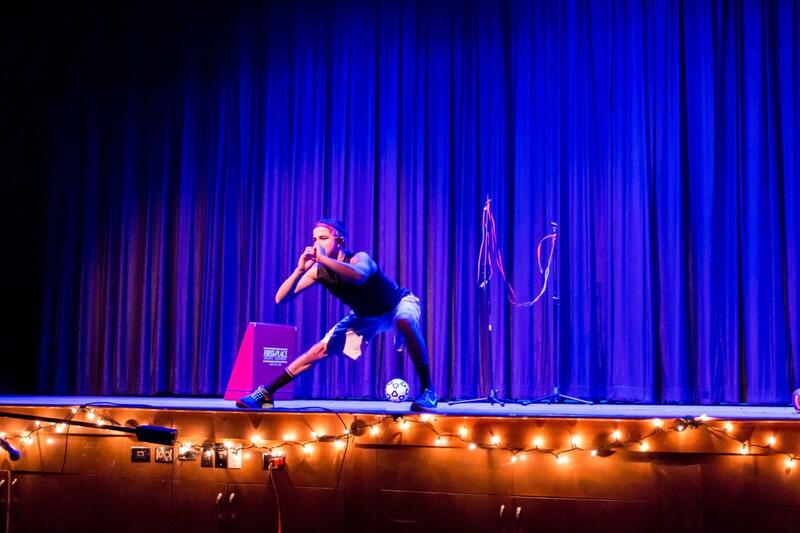 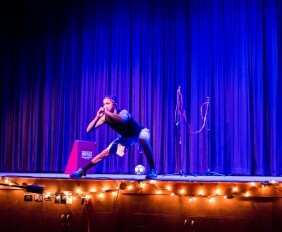 Zach Taylor quickly stretches before performing "every" sport in "under" thirty seconds. 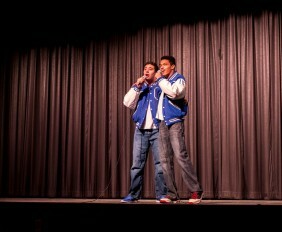 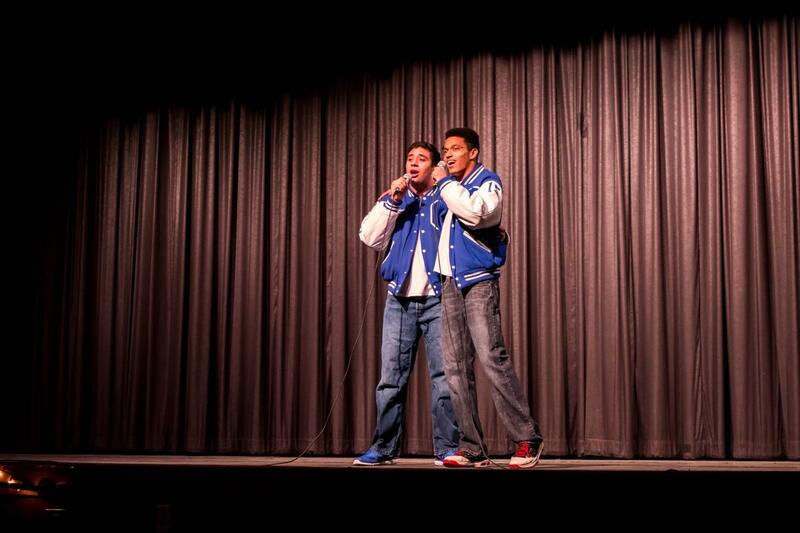 Antonio Lockwood and Jordan Cowles soulfully sing the ballad "Breaking Free" from the hit 2006 classic, High School Musical. 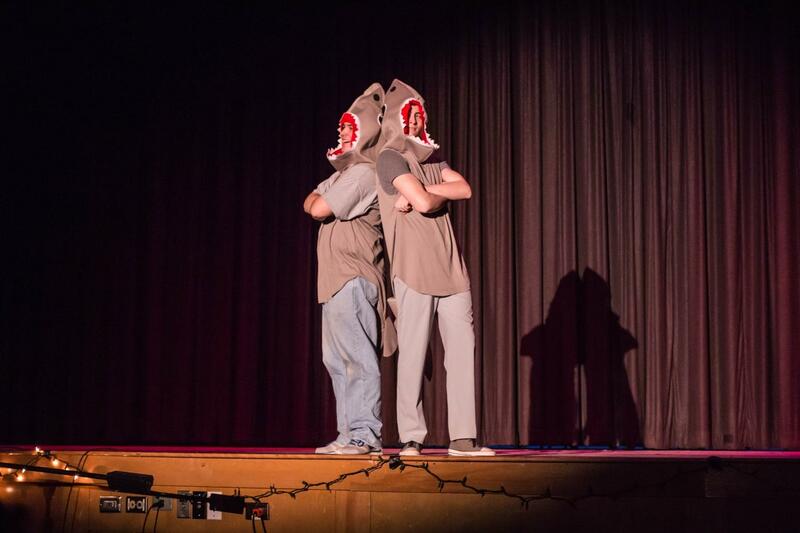 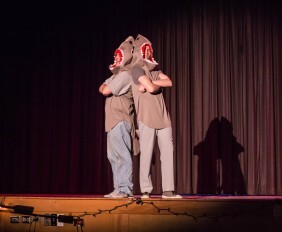 Jeremy Cannon and John McLaughlin imitate Katy Perry's halftime sharks from the 2015 Super Bowl in full costume. 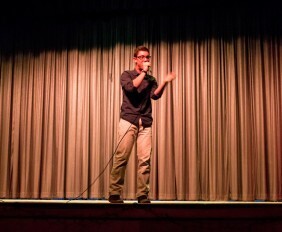 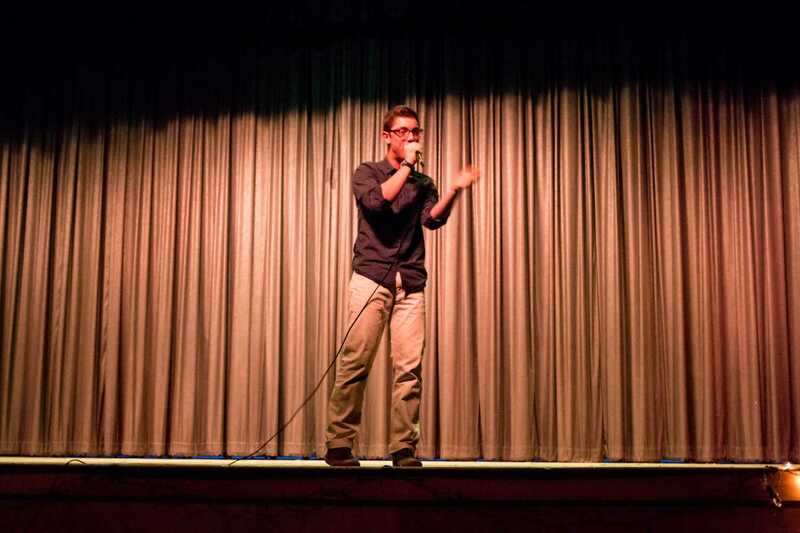 Garrett D'Amato blows the speakers with his beat boxing skills. 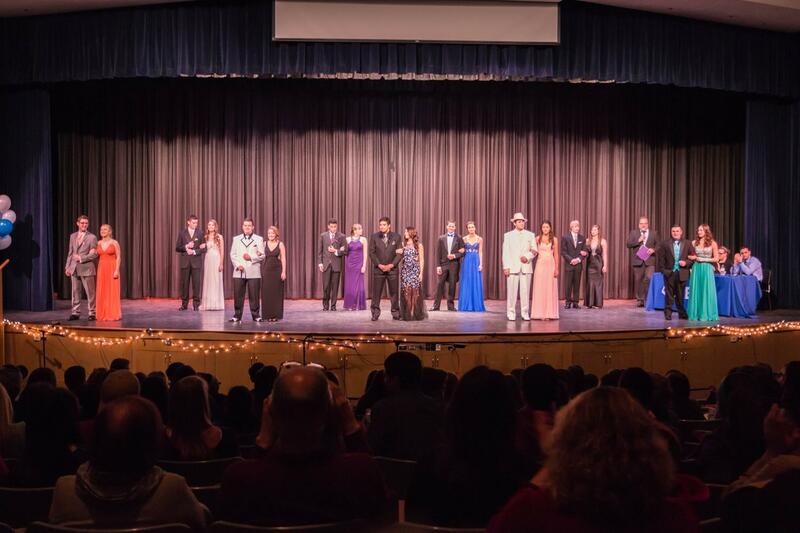 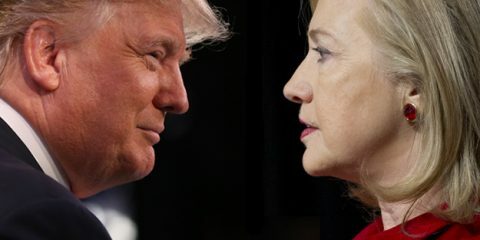 All nine contestants were escorted to the stage in formal wear. 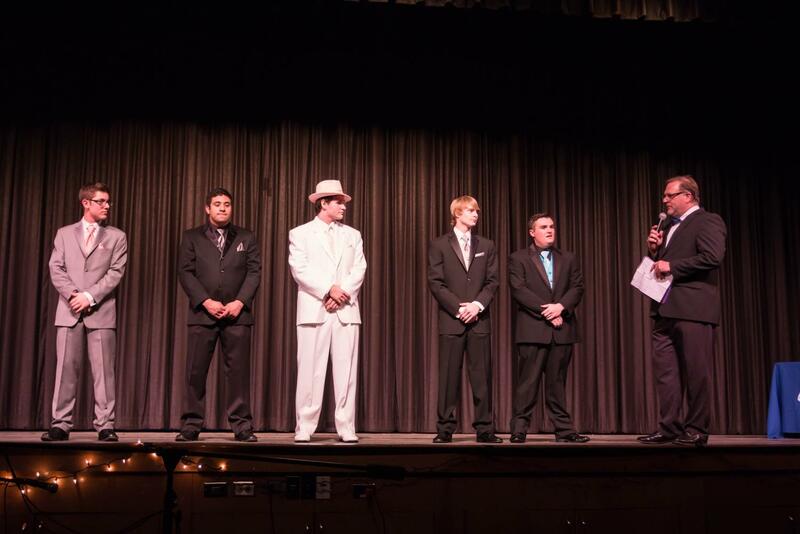 The top 5 contestants are revealed: (from left) Garrett D'Amato, Antonio Lockwood, Artie Koba, Andrew Van Steenbergen and Michael O'Sullivan. 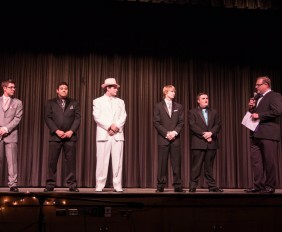 Artie Koba answers his final question. 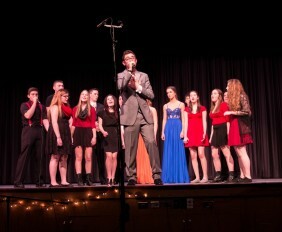 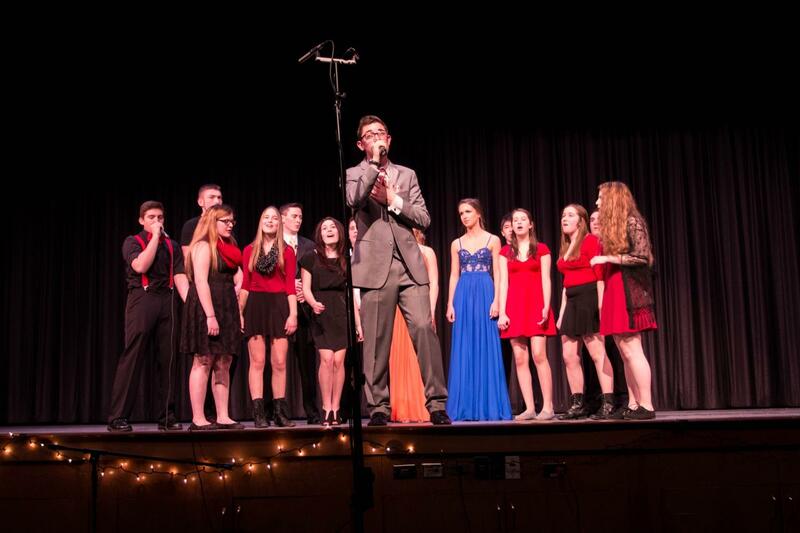 Garrett D'Amato sings the chorus for the A Cappella group, Unaccompanied Minors. 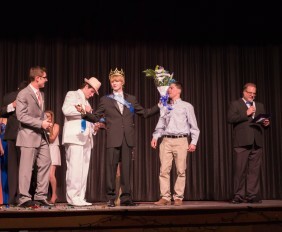 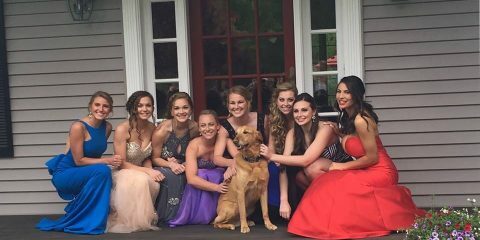 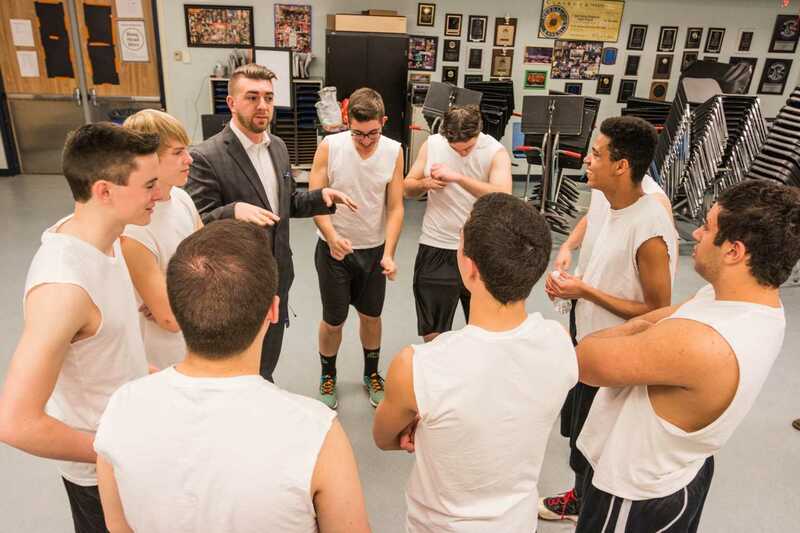 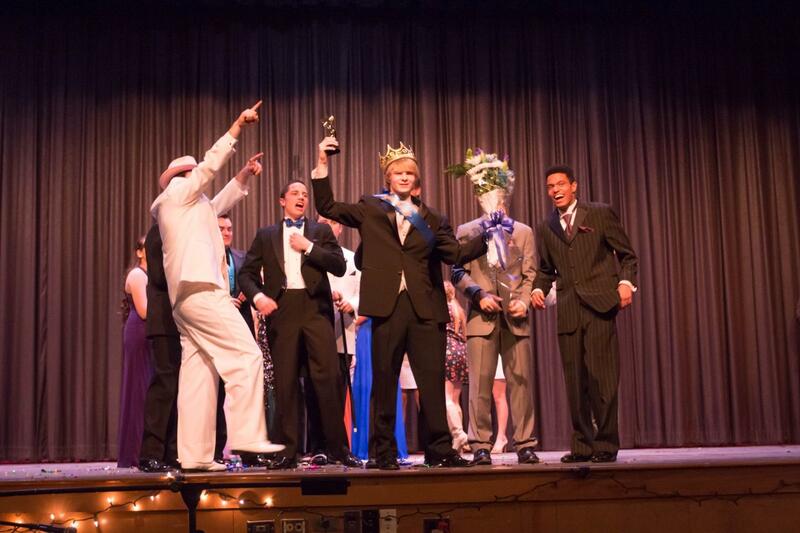 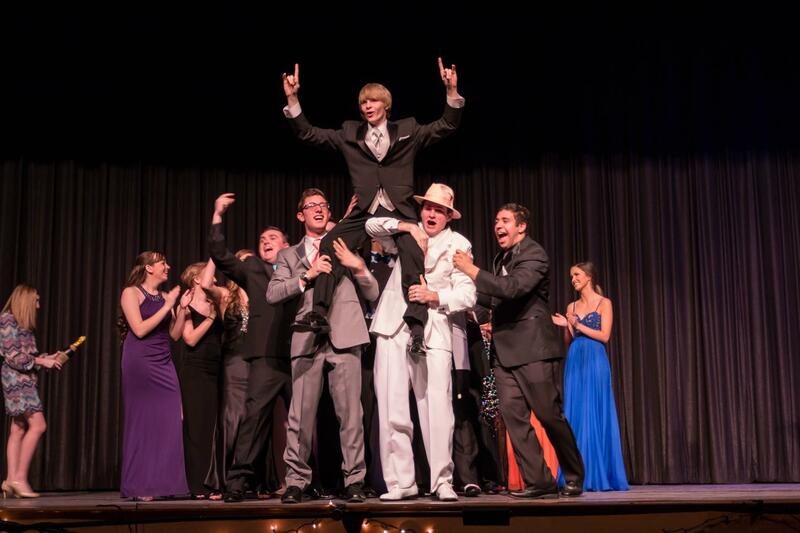 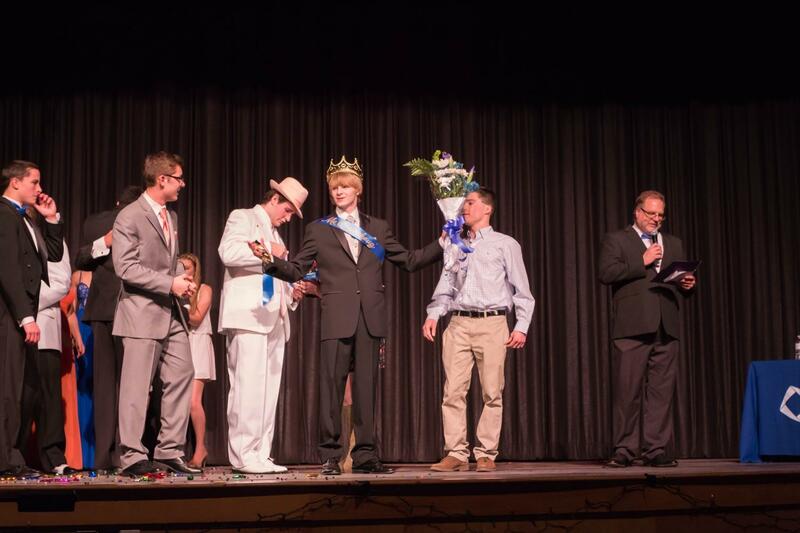 Andrew Van Steenbergen is raised by his fellow contestants after being crowned 2015 Mr. Coginchaug. 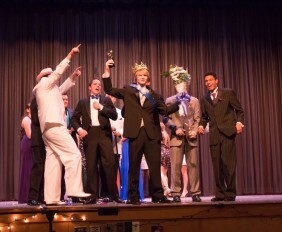 Andrew Van Steenbergen stands proudly with his Mr. Coginchaug sash. 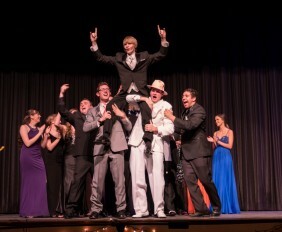 Andrew Van Steenbergen raises his trophy, surrounded by the rest of the contestants and escorts.